Girls of Gaming Kickstarter failure highlights role of obliviousness in video game sexism. A prime contributor to gaming’s gender problem might be unexpected. It’s often not easy to be a woman in the world of video games. 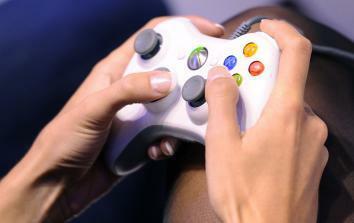 If you’re an online gamer, you may face regular verbal abuse. If you’re one of the few visible female gaming commentators, well, don’t even ask. The solution to this pervasive problem: a Kickstarter campaign to create a calendar of “gamer girls” lolling around sultrily while they play video games. It’s the brain child of Jared Beymer (pronounced “beamer”) and Erick Klix, a couple of college kids from Iowa and Missouri, respectively, and as of the Nov. 25 deadline the project had failed, raising only $180 of the $3,500 the duo had requsted. The reaction from the Internet was not positive, either. “Idiotic Calendar Just Reinforces Gaming’s Sexism Problem” read the headline on P.C. Gamer’s website. On Valleywag, Nitasha Tiku mocked the video that accompanied the pitch: “Sometimes when girls be gaming, they like to bite their bottom lip as they lean suggestively upon an electronic device,” she wrote. As a video game player and columnist, I winced with just about everyone else. But I also was curious what, exactly, led to this idea. Beymer and Klix aren’t sleazy executives trying to sexualize young women for the sake of profit. They’re kids, and the 19-year-old Beymer, in particular, is a burgeoning young-entrepreneur type who has every reason to be concerned about his online image and reputation. What was their thought process? How did such an ill-conceived idea land on Kickstarter? I called up Beymer to find out more. And it turns out that, while the ire directed his way is warranted to an extent, things are a bit more complex here than one might think. Maybe the most important thing to know about the calendar is that it wasn’t Beymer or Klix who came up with the idea for it, but the two women in the video, Beymer’s longtime friends Marniel Becker and Cresa Peterson. Beymer said the idea was born when the three of them were at the Iowa State Fair. They were talking about a calendar of male cosplayers, Beymer said, and Becker told him, “You should do one of us. You should do a girl gaming calendar.” When I emailed Becker, she actually gave Peterson more of the credit, but in either case it appears the idea for the gamer-girl calendar came from real-life gamer girls. Spurred by the suggestion, Beymer posted the idea to Kickstarter, which he said was a mistake in retrospect. “More people were offended by us putting it on Kickstarter than anything,” he explained. Beymer said he’s received a fair amount of vociferous criticism as a result of the calendar, though he claims also to have received emails from women asking to be in it (I asked him to send me some, but he never did.) When it comes to the critics, “I definitely understand where they’re coming from, because guys are jerks most of the time online, which is unfortunate,” he said. So why does this underfunded, ill-conceived Kickstarter effort matter? Mostly because it highlights that in trying to understand and tamp down on misogyny online, sometimes we make things more warlike than they have to be. There’s a tendency—and it’s understandable, given how brutal a place the Internet can be for women—to adopt something of a Manichean stance, to treat the world as though it consisted of feminists and their allies on one side, and a giant undifferentiated mass of misogynistic nastiness on the other. The key takeaway here is that in an online environment so predicated on mockery and ritualized joint outrage, it’s easy to forget that a lot of the folks who contribute to the culture of misogyny are young, aren’t hardened woman-haters, or both. Yes, there are people who have implacably retrograde attitudes toward women, but most people can be talked to, can be engaged with. “I guess I never thought about it like that.” What Beymer said is a very human sentiment, and it should be seen as an invitation for some much-needed conversation. There’s a place for ridicule and scorn, and it’s often well-deserved (not to mention hilarious, when done well). But it won’t reach the folks can actually help improve the climate for women online.